16 Interesting Facts About Venus Planet | OhFact! Venus is named after the Roman goddess of beauty and love, but in reality, it is a very hostile planet. The temperature, atmosphere, pressure, etc. are extremely unsuitable for any living organism to survive. Let’s find out some more interesting facts about Venus: 1. Sister Planet! 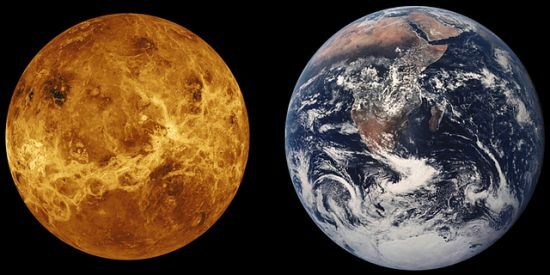 Venus and Earth are often called sister planet as they have lots of similarities in their structure. Both the planet has a solid outer crust, and their mantle is molten. Even the diameter of both planets is nearly the same with a small difference of only 638 kilometers. 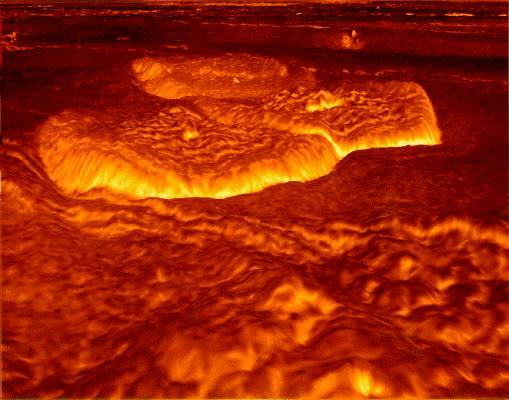 The surface of Venus is filled with active volcanoes. Also, the surface is being constantly replenished as lava from volcanoes is constantly renewing the face of Venus. 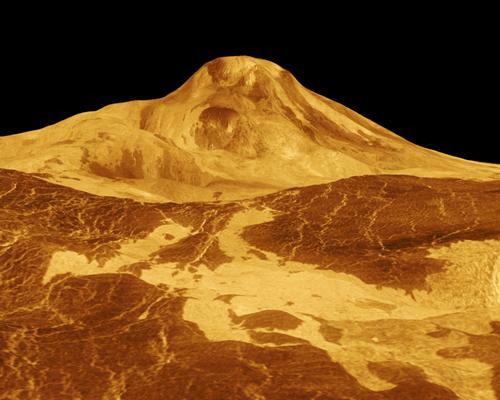 There are about 1,600 volcanoes on the surface of Venus. 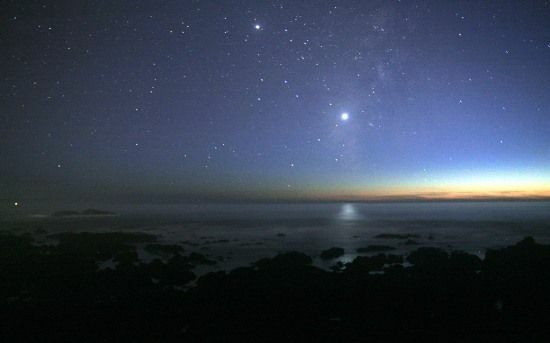 Venus is the second brightest object after the Moon that you will see in the night sky. Due to its extreme brightness, Venus can even be seen during the day when the sky is clear. Venus is so bright that it even casts shadows which are known as Venusian Shadows. Sometimes the bright Venus is even mistaken for a UFO! Do you know that Venus is covered in clouds which are so thick and dark that no one can see its surface with a naked eye? Even sunlight has a hard time penetrating these clouds to reach the planet’s surface. There are very few surface craters on Venus. There are two reasons; one of which is the constant lava flowing from the active volcano. 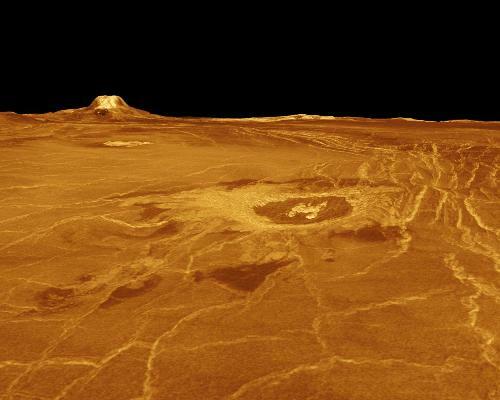 Lava had long filled most of the craters, which were present on Venus’s surface a long time ago. The second reason is the extremely high atmospheric pressure. The atmospheric pressure of Venus is so high that most asteroids entering its atmosphere are crushed before reaching its surface. 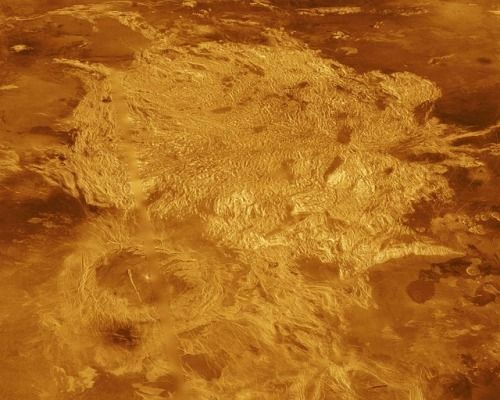 The thick clouds of Venus are made up of sulfuric acid, mercury, and ferric chloride hydrocarbons. These components result in a highly corrosive acid rain on the surface of Venus making it the planet in our solar system with the most corrosive acid rain. In the middle cloud layer of Venus, wind can reach the speed of 724 kilometers per hour which is much faster than the fastest tornado ever occurring on Earth. Even though Venus is considered as sister to Earth in physical properties yet most of its features are deadly for human beings. Venus’s atmosphere consists of carbon dioxide along with some percent of sulfuric acid, which can be fatal for the human. Also, the surface temperature is usually higher than 470 degree Celsius. 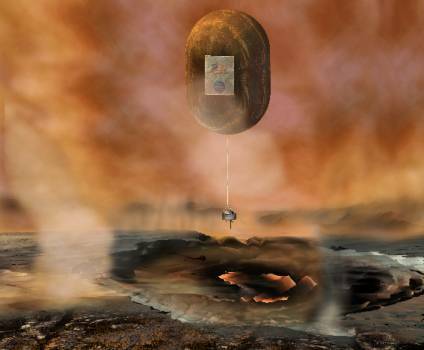 Even spacecraft have a hard time surviving in the Venus atmosphere due to its extreme pressure. 9. Revolution is shorter that Rotation! Venus is a crazy planet. Its revolution takes a shorter time than its rotation. Venus completes its one revolution in 224.7 Earth days, i.e., one year of Venus consists of 224.7 Earth days. But one rotation of Venus is completed in 243 Earth days which means that after 243 Earth days, night falls on this planet. So, one day on Venus is longer than one year. Also, rotation of Venus is in opposite direction of other planets due to which Sun on Venus rises in the west and set in the east. There are no seasons on Venus, and hence it has no seasonal variation. It’s because Venus has a tilted axis. So, Venus is just hot all the time! 11. On Venus, you can see the back of your head! The atmosphere of Venus is very thick. So, some scientists believe that the thick atmosphere is capable of bending light in a circle. Hence, if you stand somewhere on Venus and the atmosphere is clear then you may be able to see the back of your own head! 12. Once upon a time, Venus was like Earth! Scientists believe that billions of years ago, Venus was like Earth and contained oceans and other water bodies. But, with the increase in greenhouse effect on this planet, the temperature rose, and the environment became so hot that the water boiled and evaporated away. Now there is no trace of water on Venus. 13. A 5-Mile High Mountain! There is a mountain named Maat Mon on Venus which is about 5 miles in height, i.e., 26,400 feet. Scientists are trying to find out whether this mountain is active or not. 14. Weight Loss on Venus! If you are hell bent on losing weight but don’t want to move a limb, then you should find a way to survive on Venus. It’s because a person weighing 100 pounds on Earth will weigh 88 pounds on Venus without any exercise. It’s because of the lower force of gravity on Venus than the Earth. Venus trip anyone? Venus has no magnetic field, and hence it cannot protect its surface from the harsh solar wind. Unlike other planets, Venus has an extremely flat surface. The surface of Venus is so flat that 70% of Venus’s surface is within 500 meters of the average radius of this planet.